There are many types of arthritis (nearly 100 or so) but Osteoarthritis, Rheumatoid arthritis and Gouty arthritis (referred to as Gout) are more common. Causes, symptoms and treatment of each type are different. Inflammation of a joint may also take place after an injury but this would not be called arthritis in the literal sense. However, if the injury is not cured properly, it may lead to arthritis. It is the most common form of arthritis also known as degenerative arthritis, which is the result of wear-and-tear and gradual loss of bone tissue in the joints. It generally occurs in old age. The pain is made worse by movement. Appearance of hard growths on joints of fingers. Pain and stiffness gradually increases with passage of time. Almost no swelling in the initial stages. 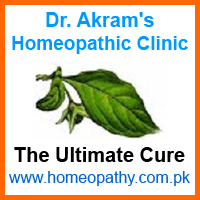 It is commonly known as rheumatism or synovitis. It is more common in females over 40 years age. It generally starts from smaller joints and spreads to larger joints, arms, legs and feet but it is not restricted to joints alone. Organs like eyes, lungs and heart may also be affected. In rheumatoid arthritis, joints of both sides of the body are nearly equally affected. It may therefore be referred to as symmetrical arthritis. Joints become hot, red, painful and swollen. In advanced stages of disease, the joints may get deformed. Feelings of general weakness, fatigue and sleeplessness. Dryness of eyes and inner mouth. Stiffness of all, especially smaller joints felt on waking in the morning. Low fever, feelings of sickness and marked reduction of body strength. Symptoms are worse on beginning of movement after sitting for some time. It is usually the result of increased level of uric acid in the blood. Over a period of time, this uric acid accumulates and forms crystals in the joints making them inflamed, painful and to some extent rigid. Severe pain in a joint, which may be sudden. Pain may exist to some degree in all postures, at rest or in motion. Redness and swelling around knee, elbow and finger joints is not uncommon. In may be indicated by quicker onset with inflammation, tenderness and sharp pain in joints, sometimes accompanied by fever and chill. It may be associated with an injury or another illness. As the name goes, this type of arthritis is associated with psoriasis, which is a skin disease. Psoriatic arthritis (or psoriasis arthritis) occurs in patients of psoriasis of long standing. It is characterized by rigidity of the joints mostly felt on beginning of the motion after sitting for some time. In psoriatic arthritis, the joints may not necessarily swell, inflame, deform or feel warm.